Another summer quickly approaches, along with the concerns that come with the temperature and safety of your pets. Whether it be leaving or finding a pet unattended in a vehicle, or walking your dog on hot pavement, we are hoping to inform and change the circumstances that leave so many pets injured or dead during the warmer months. Hundreds of pets die each summer from heat stroke and other heat related symptoms. The main cause? Being left in a vehicle on a warm day. We say warm, because it doesn’t need to reach much more than 70° outside for your pet to suffer and possibly die in a vehicle. When the outdoor temperature is about 75°, the temperature inside your vehicle can rise to 118° within an hour, even with the windows down. Sometimes a harmless stop for milk and bread can unintentionally mean danger for your furry family member. What can you do to prevent overheating? Conditions in a vehicle during the summer can result in heat stroke, brain damage, and ultimately death. Watching for these reactions is important so that you can address them immediately. Checking to see if your destination allows pets inside is also a good idea to help you determine if you can bring your pet along with you. Total Dog Company welcomes our customers and their leashed and pottied dogs. 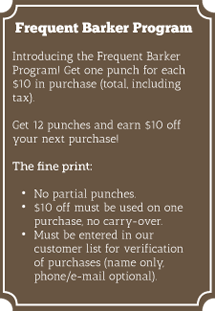 www.sidewalkdog.com is a great resource in the Twin Cities to find dog-friendly restaurants, stores, and more. What should you do if you see an unattended pet? Not only do you need to be cautious of your own habits, but it also helps to go the extra mile and act when you see someone else’s pet in this common situation. If you come across a distressed animal in a vehicle, these steps could help you save a life. Gather the information of the owner’s vehicle; make, model, and license plate. If there is a business near, that could be the location of the owner. Notify the manager and request that they address their customers. Don’t leave the pet until aid arrives. If the owner cannot be located, call the local authorities or animal control. As a last resort and if you fear for the life of the pet and an authority or owner cannot be located, find someone who can verify your observations and then take the steps to remove the animal from the situation. Providing the animal with cool water to drink will help hydrate and cool them down. If you can, use a cool cloth to moderate the pet’s temperature. Do so until the authorities arrive. An owner who violates this will be subject to a petty misdemeanor and $25 fine. Hot cars aren’t the only danger your dog can face in summer months. 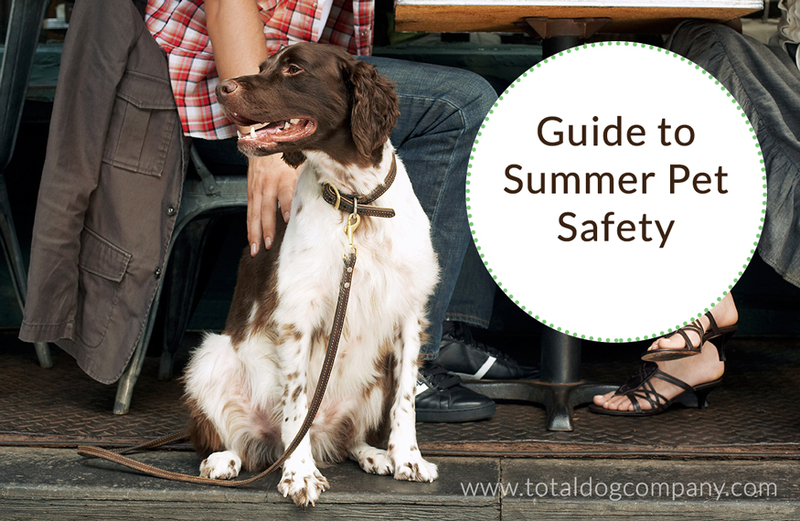 A summer stroll can also cause harm to your pet depending on the temperature. Dogs footpads are sensitive to hot pavement, and can become blistered and raw if exposed to it. If you choose to walk on the dark pavement during the summer, always check the temperature beforehand to avoid burns. To ensure that the pavement is cool enough for your dog to walk on, it’s suggested that you place the back of your hand on the surface. If you can’t hold your hand there for more than 5 seconds, it is too hot and will burn your pet’s feet. At Total Dog Company, we care about the well-being of your pets and the happiness of your dog friendly family. If you have any other questions regarding heat precautions and pet safety, call or stop into the store and we will be happy to answer your questions!